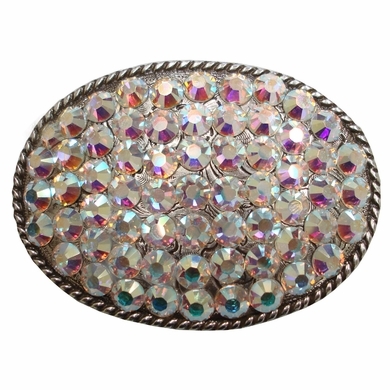 Swarovski Rhinestone AB Crystals a delicious gift or treat yourself to the very best. Buckle Measurements 3 1/8" X 2 1/4". Fits 1 1/2" wide belts.